We make an exquisite ganache using cream rather than butter (we never do things the easy way…), hand scoop and roll, then dip in precisely tempered chocolate. Then we dip them for a second time. 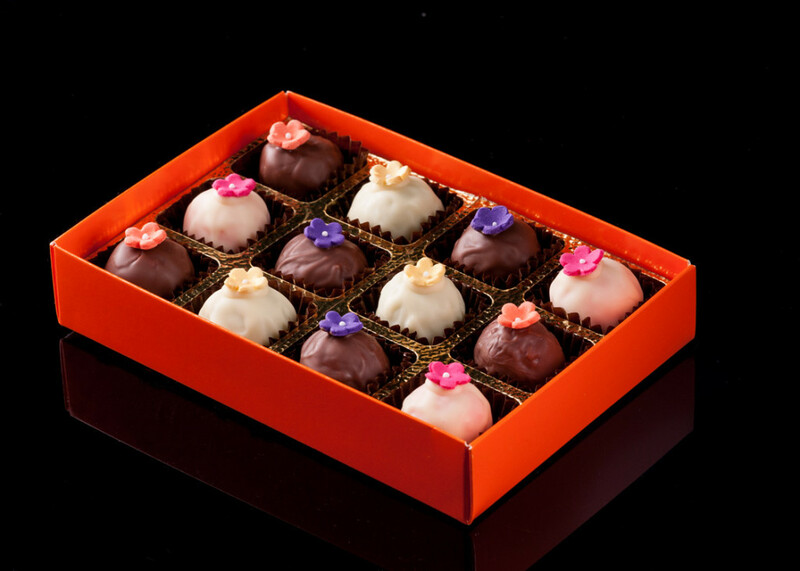 Finally, each truffle is topped with a sugar flower. They have a shelf life of six weeks but, realistically, a box won’t last 5 minutes once you’ve tasted the first one. 12 milk and white chocolate-coated cream ganache truffles with caramel, lemon, orange and strawberry flavour fillings, decorated with a sugar flower. 33.6% and 33.1% min. cocoa. 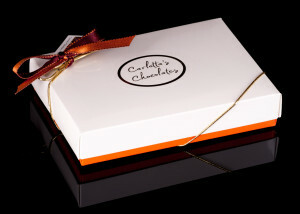 180g, in presentation box. 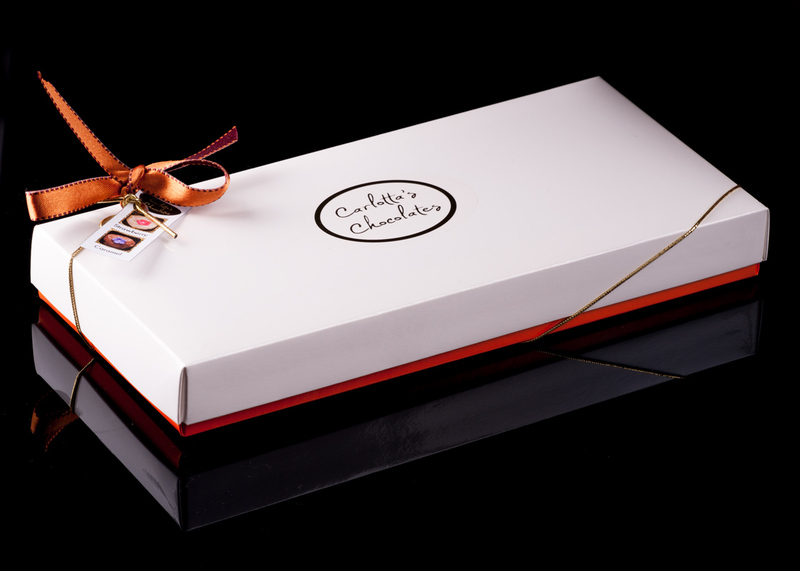 18 milk and white chocolate-coated cream ganache truffles with caramel, lemon, orange and strawberry flavour fillings, decorated with a sugar flower. 33.6% and 33.1% min. cocoa. 270g, in presentation box.